Sandra is a Certified Mediator with the Florida Courts, Primary Trainer for Certified County Training Programs, Assistant Trainer for Circuit Civil Training Programs and a Qualified Arbitrator. In her working practice she conducts court-ordered, contract administered, and privately referred Mediation for both County and Circuit Civil matters. Sandra is skilled in the use of Alternative Dispute Resolution strategies that include facilitative mediation, conflict coaching, and arbitrated settlement. Sandra holds a BA degree in Political Science from Cal State Los Angeles and a Master’s Degree in Organization Management from the University of Phoenix, California campus. She is Certified to administer and interpret the EQi-2.0 Emotional Intelligence Assessment. Additionally she is Certified in the Conflict Dynamic Profile from the Leadership Development Institute at Eckerd College. Mediating with Emotional Intelligence is a primary focus of her practice that aims to build better relationships with joint problem solving. 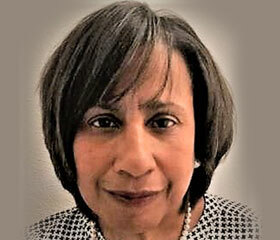 In her Training career she spent 17 years facilitating Leadership, Diversity, and Conflict Management training programs for federal, state, and local government employee groups as well as private companies. As a founding member of the Society of Emotional Intelligence (SoEI) she conducts Assessments, delivers training, and serves as an advisor to the non-profit’s conference and educational activities. Past client engagements included: Hillsborough County Attorney’s Office; Miami Federal Executive Board; and the 2013 annual Florida Dispute Resolution Center Conference.